Greet everyone this holiday season with a unique handmade card. 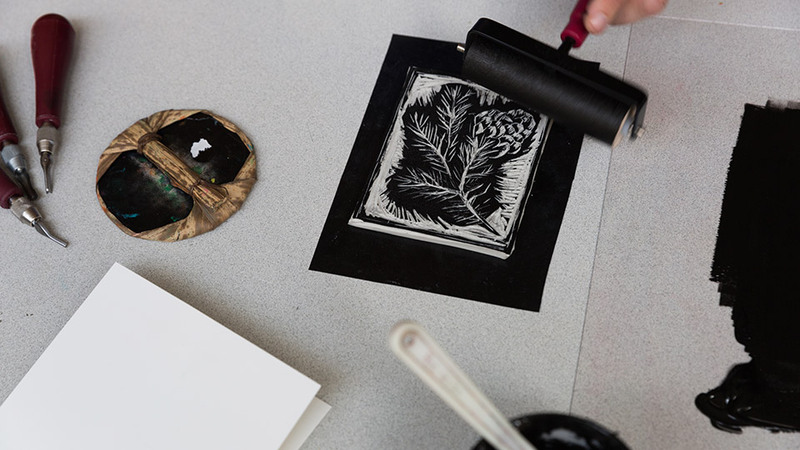 The beauty of linocut relief printing is you can create more than one! Explore GRAM’s collection and get inspired by the mark-making possibilities. Then, you will review basic linocut tools and methods and create your own edition of cards. You will learn how to print both by press and by hand, allowing you to visit this method for years to come.